Planning Your Wedding Night - On your wedding night your wedding ceremony and reception has passed and your ready to relax and celebrate with a romantic interlude with your husband. How do you focus only on him after such an event filled day? This full color page book guides you through the wedding planning process and all associated events from engagement to the wedding night and honeymoon. Author Mark Askew and his wife co-author, Brenda Marie have been wed for over thirty years. There's no question what inspired them to write Fimark's My Wedding Planner. Mark says, "If I am not officiating the wedding ceremony, Brenda and I are helping couples plan the reception and months afterward we share our experience about the many joys that come from making marriage work." 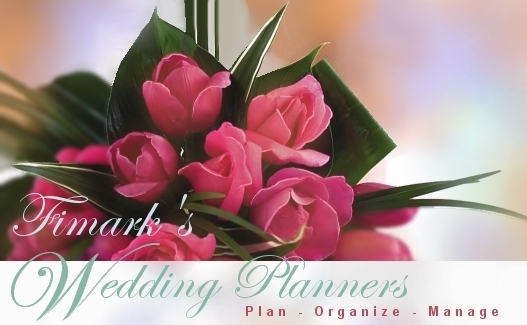 But "Fimark's My Keepsake Wedding Planner" is not just a wedding planner and organizer. It's more. 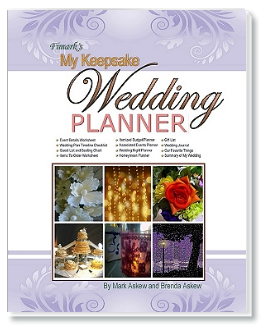 The keepsake features and bonding activities that help draw you and your partner closer together after the honeymoon is a special feature of this book. Now in stock Order here.